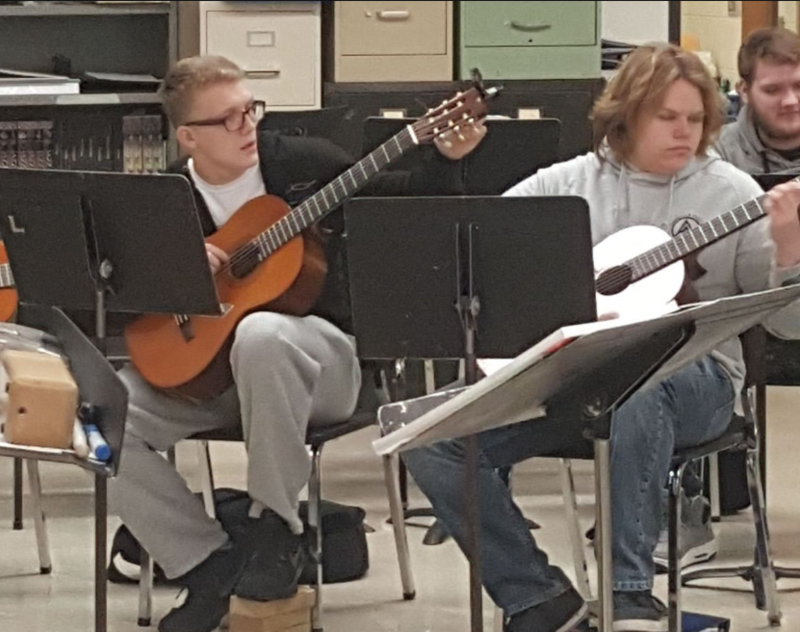 Seniors Zach Bohms (left) and Connor Rabe play in sync in Bradon Crawford’s intro to guitar class. 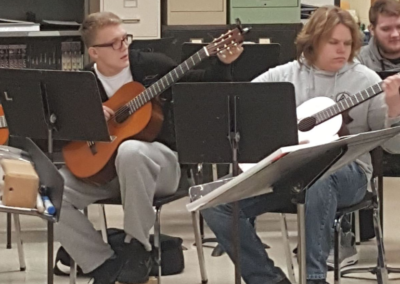 The class, with the exception of Rabe, who has been playing since he was a freshman, is made up of students picking up the instrument for the first time. 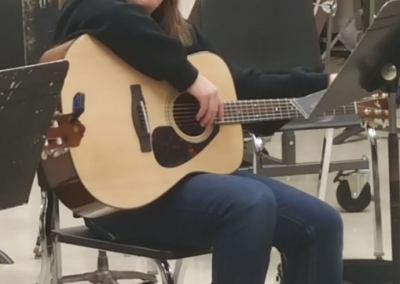 Crawford said over the course of the class, students learn to read music along with finger placement, chord progressions and string patterns. For their final, each student plays a song of their choice. 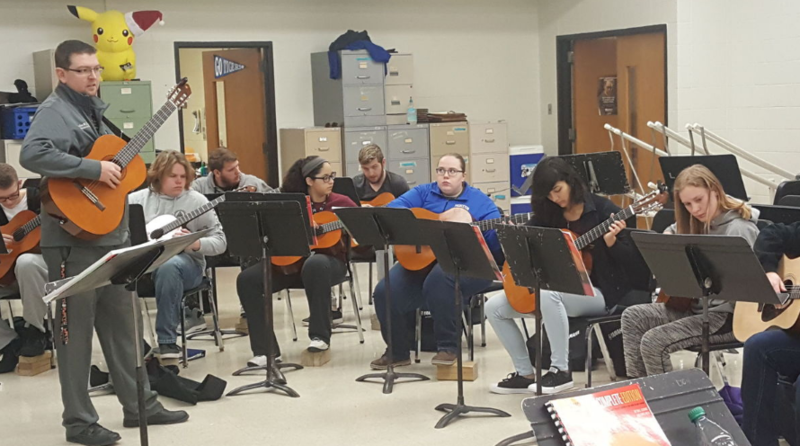 Instructor Brandon Crawford displays finger placement for the intro to guitar class, in its second year at PHS. 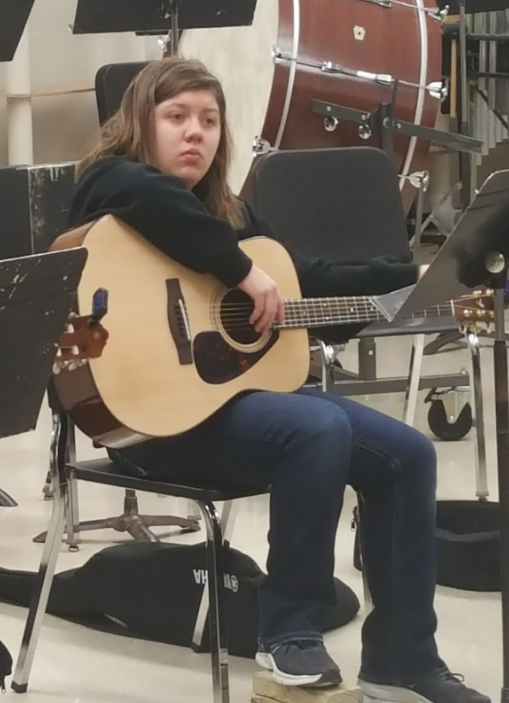 Princeton High School Sophomore Abby Davis warms up for guitar class. 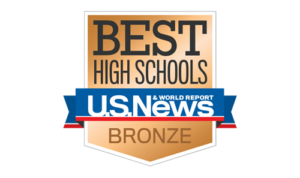 Princeton High School offers a one-semester elective class offered for those who are interested in music but don’t want to join the choir or band. The second-year class is proving successful, music instructor Brandon Crawford said, with about 13-16 students signing up for each session. Crawford said over the course of the semester, students will learn enough basics to continue playing on their own. Students learn a variety of acoustic songs — from folk to pop to classical. 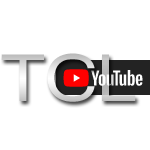 “They take ownership of it — we go as far as the kids allow,” Crawford said. He praised the group for being fast learners invested in learning a new skill. The one-semester class is proving popular, Crawford said, so he has hopes of expanding to higher levels. 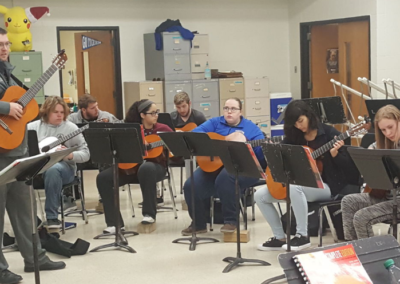 Crawford said the idea first came to him for the class about five years ago when, studying for his masters degree, he took a guitar class of his own. He enjoyed the experience and thought his students would latch on to the idea.